Gov. Brian Kemp signed into law a bill that repeals the school bus passing law that went into effect in Georgia last summer. The bill signed by Gov. Kemp on Friday goes into effect immediately. The previous law passed and was enacted last July that essentially allowed motorists to not stop for a school bus that is loading or unloading students, if the motorist is traveling in the opposite direction and the road is divided by a turn lane. 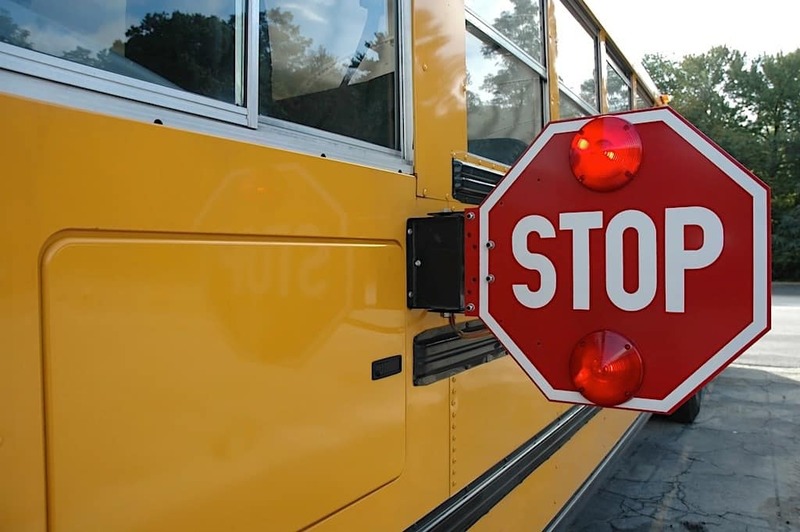 The Georgia Association for Pupil Transportation told School Transportation News at the time that the vague language could be interpreted as meaning motorists were no longer required to stop, regardless of the circumstances. The new law amended the previous legislation, so that motorists are now required to stop on both sides of the highway when a school bus is loading or unloading students—unless there is a physical barrier dividing the two directions of traffic. “The driver of a vehicle upon a highway with separate roadways, that are separated by a grass median, unpaved areas, or physical barrier need not stop upon meeting or passing a school bus which is on the separate roadway or upon a controlled access highway when the school bus is stopped in a loading zone which is a part of or adjacent to such highway and where pedestrians are not permitted to the cross the roadway,” the text states. Sen. Bill Heath sponsored the new legislation, GA SB25. Approved by the Senate on Feb. 7, a House committee approved it on Feb. 12 and the full body approved it the next day. Since the previous law went into effect, there have been two reported incidents of motorists hitting a student at a loading/unloading zone in Georgia, according to data that School Transportation News collected and compiled from news reports. In Lowndes County, Georgia in August, a middle school student was hit by a car while trying to board her school bus. The 13-year-old girl was hit at an intersection, where the posted speed limit was 55 mph. The girl was taken to a hospital, and it was reported she was in stable condition and conscious after being hit. The second incident occurred in October and resulted in a fatality. In Colquitt County, Georgia, two brothers were hit by a vehicle while crossing the road to board their school bus. Noah Palmer, 10, died from his injuries, and his brother Dylan Wolf, 7, was taken to a hospital. The motorist reportedly ran the stop-arm sign on the school bus on Thigpen Trail.